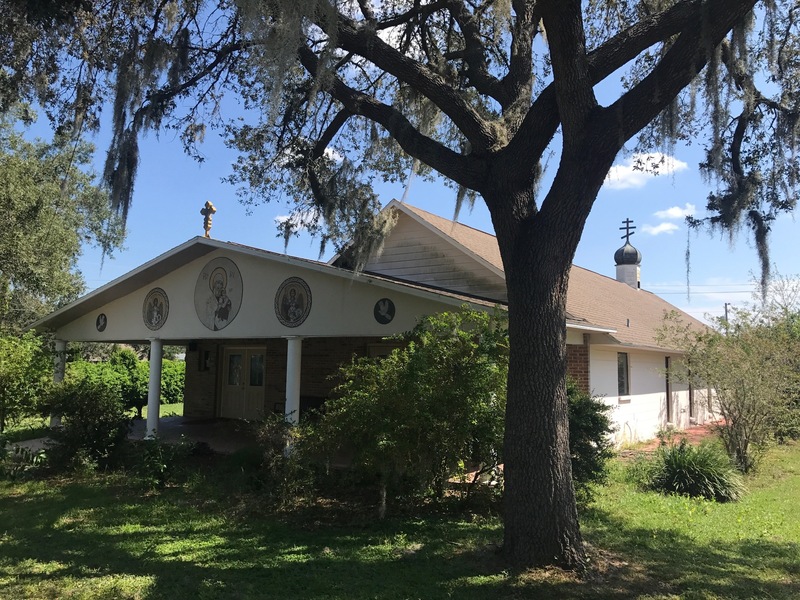 With the blessing of His Eminence Metropolitan Antony, the Prime Hierarch of the UOC of the USA, Archbishop Daniel in his capacity of the President of Consistory of the Church traveled to Dover, FL in order to visit Protection of the Birth-Giver of God Ukrainian Orthodox parish that suffered damages following the tragic Hurricane Irma that caused massive destruction in the State of Florida. 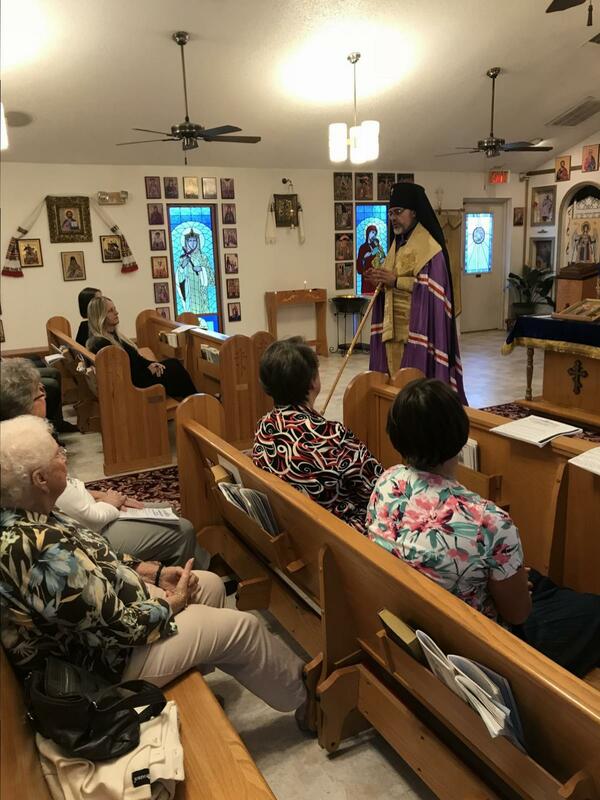 Meeting with Very Rev. Fr. 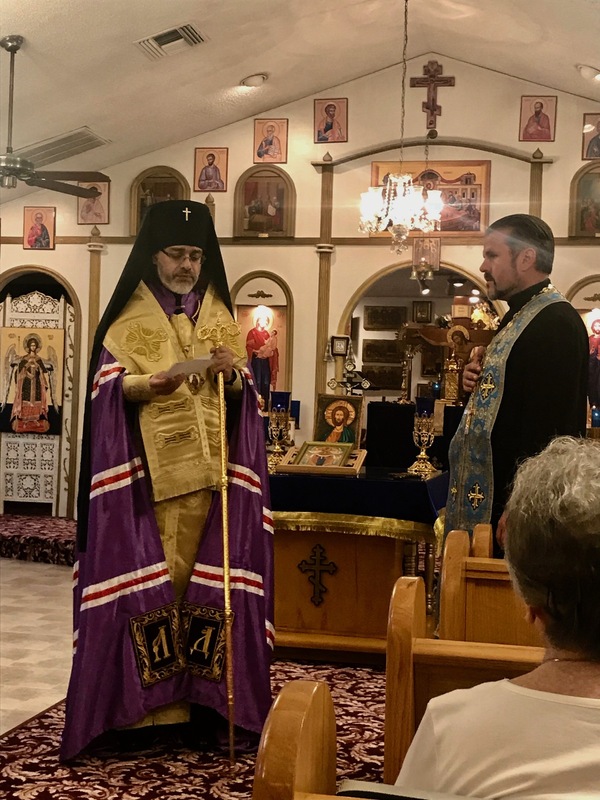 Hary Linsinbigler, pastor of the parish community, Archbishop Daniel offered words of comfort and support of the clergy and faithful of the entire Ukrainian Orthodox Church of the USA. 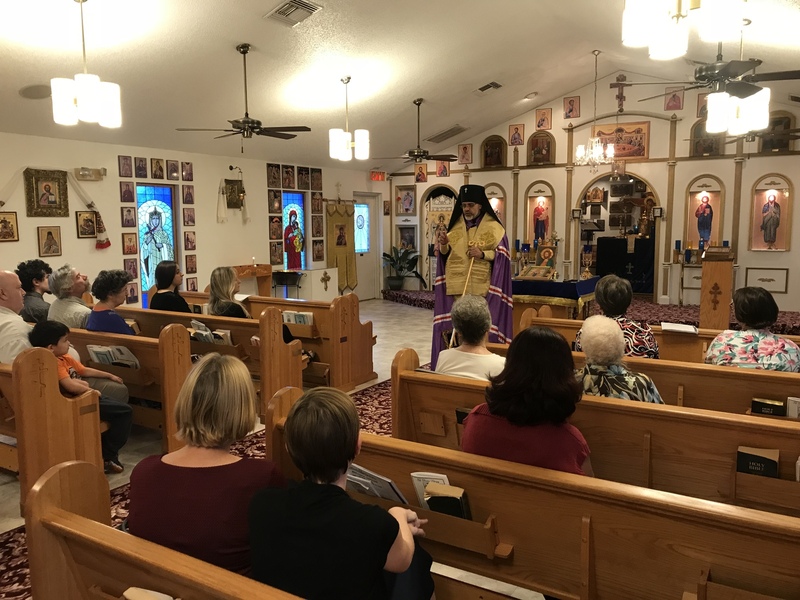 Gathered for a weeknight Moleben service, Vladyka Daniel addressed a group of about 30 parishioners that traveled to Dover, FL to meet their bishop immediately following the busy full day of work. 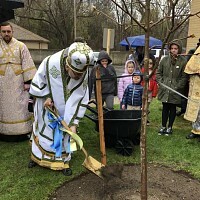 Following the chanting of the Moleben service to Christ the Savior, Archbishop Daniel addressed the congregation, greeting them upon the feast of the Protection of the Birth-Giver of God and offering the words of spiritual comfort and concern of the entire Ukrainian Orthodox Church of the USA for the parish that suffered post Hurricane Irma damages. 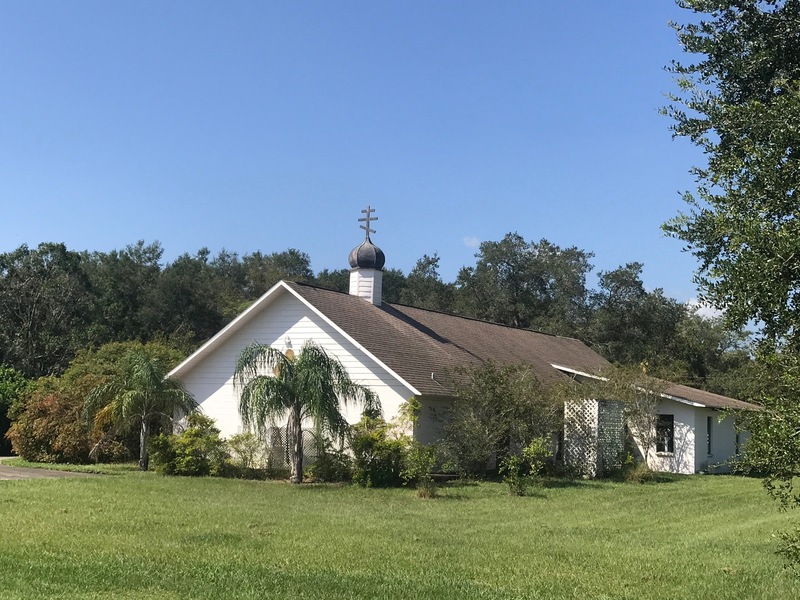 Vladyka Daniel stated “It was humanly upsetting to see images of destruction from yet another violent hurricane on our shores and beyond. 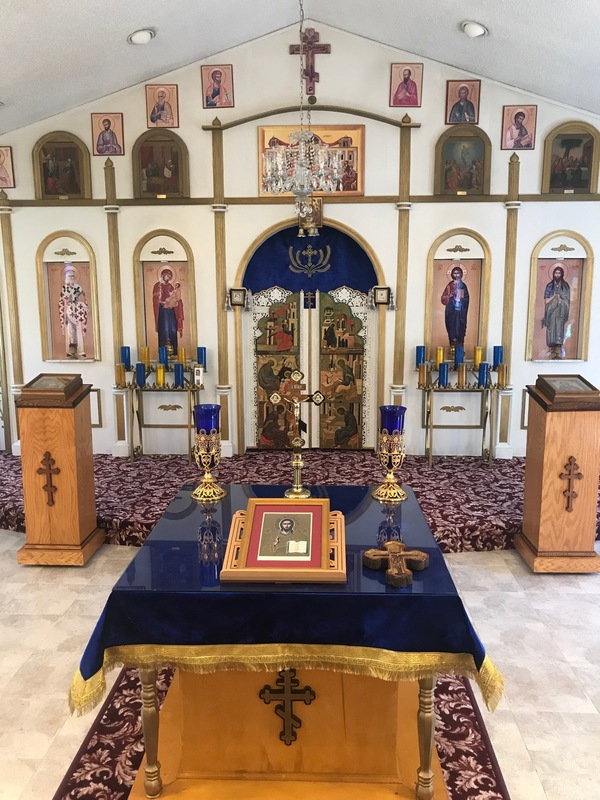 As I said after Hurricane Harvey, I know I speak for every person in the Ukrainian Orthodox Church of the USA when I say how deeply saddened I am by the death and massive devastation experienced by our brothers and sisters in the Southern USA and throughout the Caribbean. It is difficult to comprehend how something so terrible can happen on such a scale. 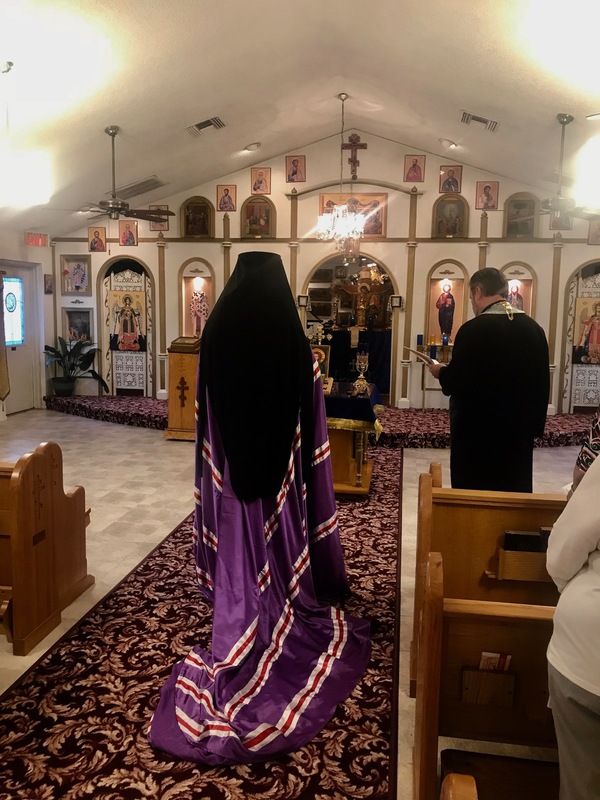 Now, more than ever, we must look to our faith and ask the Lord to carry those who are suffering and who have lost so much… Both Metropolitan Antony and I, following the devastating Hurricanes Harvey and Irma, served numerous prayer services for those who have suffered due to the storms. 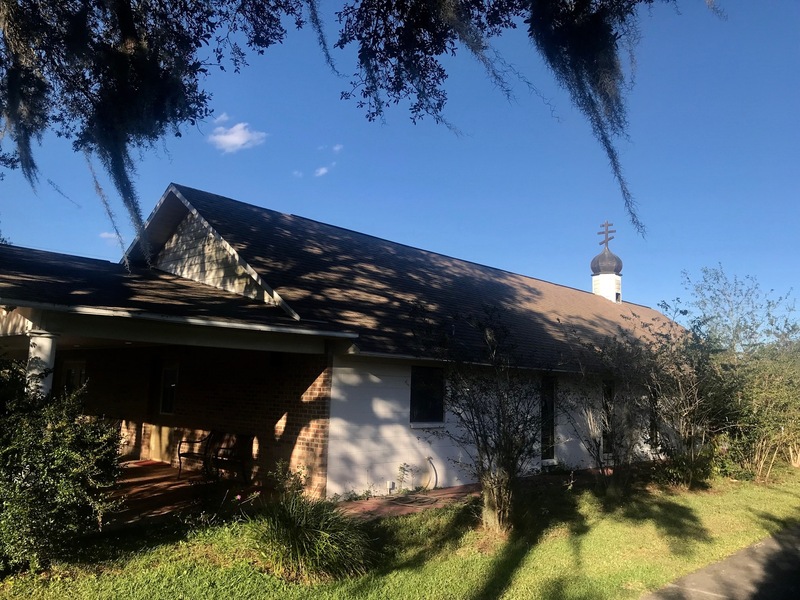 We have seen the fear in the faces of people pulled through windows and doors of a nursing home having waited for hours to be rescued, sitting in wheel chairs with water up to their necks. We have witnessed families with terrified children plucked from the rooftops of their homes. We have suffered along with those who lost loved ones to the raging waters covering an enormous geographical area. 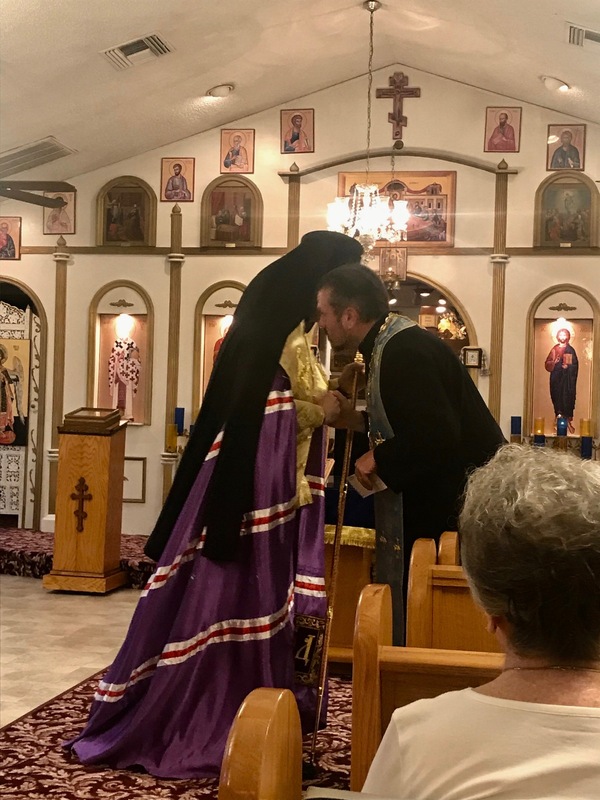 We have, however, witnessed just as incredible sights of loving-kindness exhibited by so many – neighbors to neighbors, strangers to strangers, people from distant places to local residents – without regard to race, color or creed. We have watched the professionals – the first responders in law enforcement and fire protection, both local and from around the nation, local citizens and those who came from a distance - all good samaritans, as they set about rescuing those trapped in or on their homes. We have shed tears as we watched those rescued expressing their heartfelt gratitude to those responders. 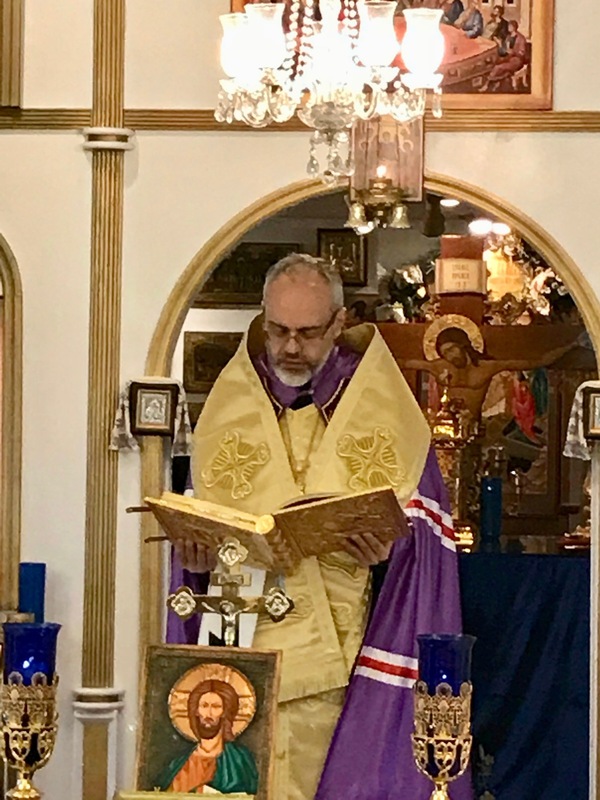 Responding to the Archbishop’s remarks and presentation, Fr. 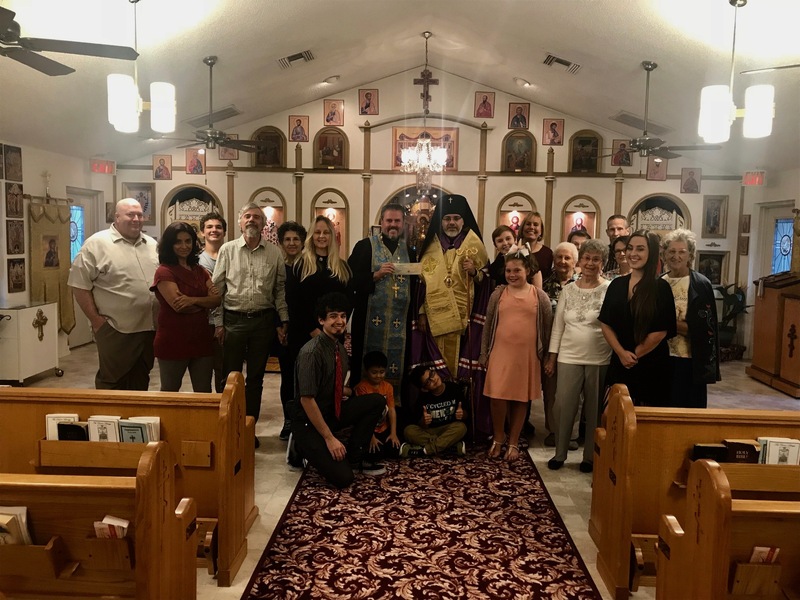 Harry offered sincere gratitude to the hierarchs and administration of the Church for their prayers and concern. 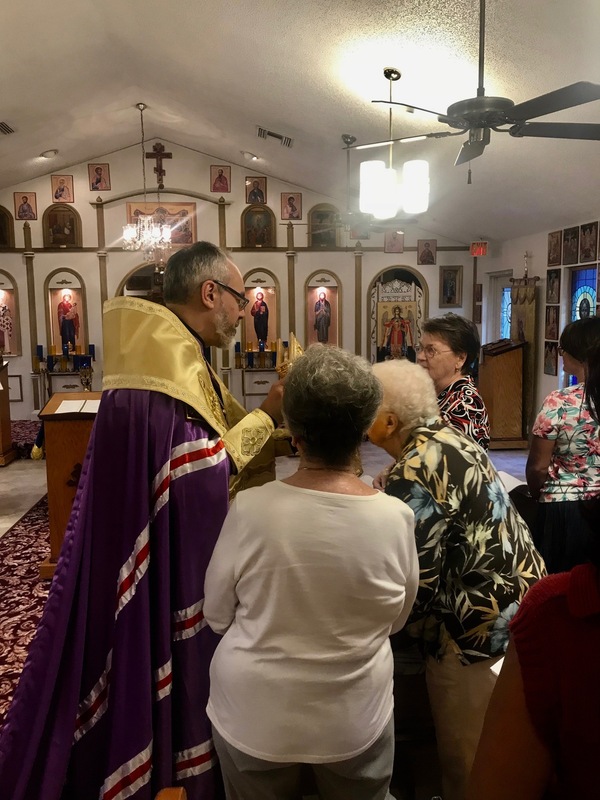 Following the prayer service and presentation, the faithful in attendance shared a dinner, prepared by the parishioners of the parish family. 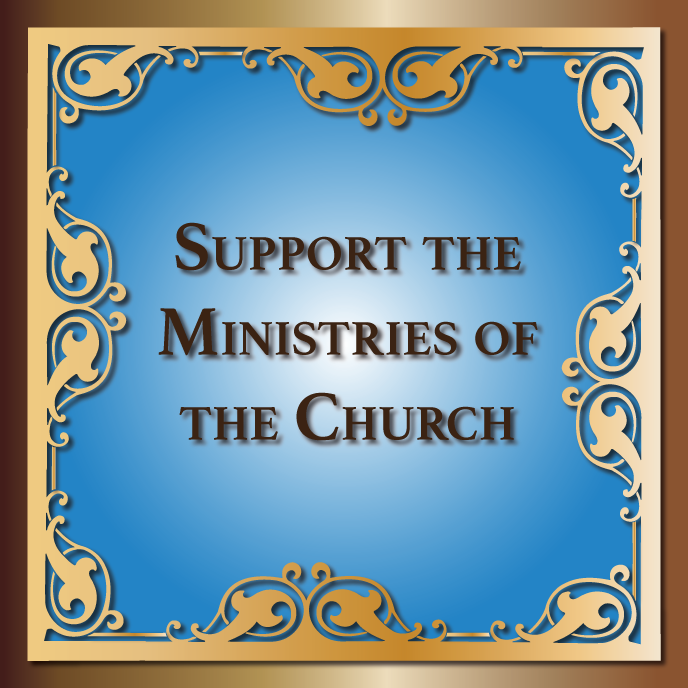 Christmas Ornaments for the Consistory!